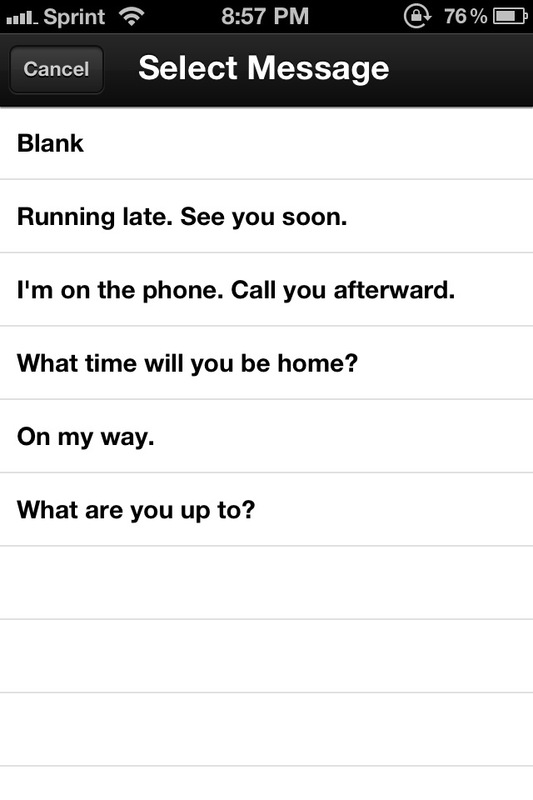 Buzz Contacts ($0.99) by App Savvy is a new way to look at your contacts. 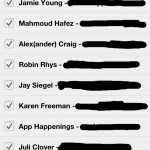 Let’s face it – Apple’s Contacts app isn’t the best thing to use when you want to quickly find someone’s contact information and use it right away, and it certainly isn’t intuitive. That’s what Buzz Contacts wants to help you with. 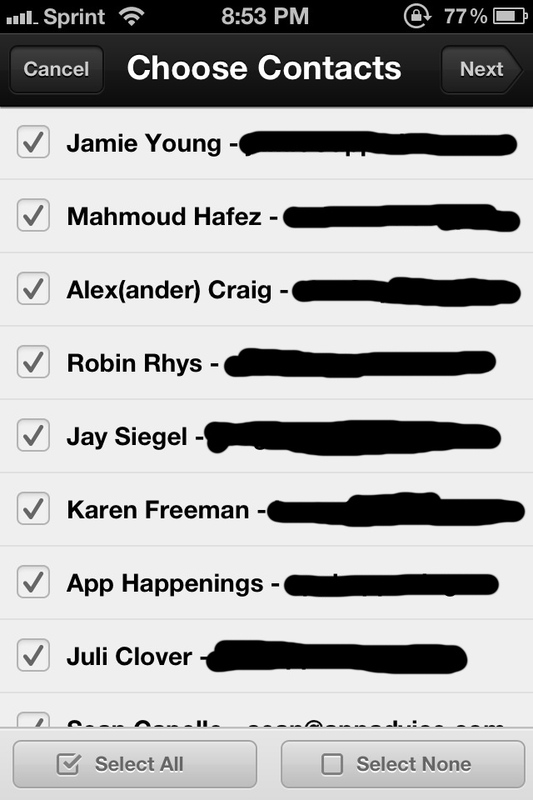 Of course, whenever you are dealing with a contacts manager app, you have to keep in mind that it’s impossible to completely ditch Phone, Messages, or Email. That’s because these third party apps can only do outbound communication, and not handle incoming calls, messages, and emails. Despite this, I found Buzz Contacts to be a pleasure to use. 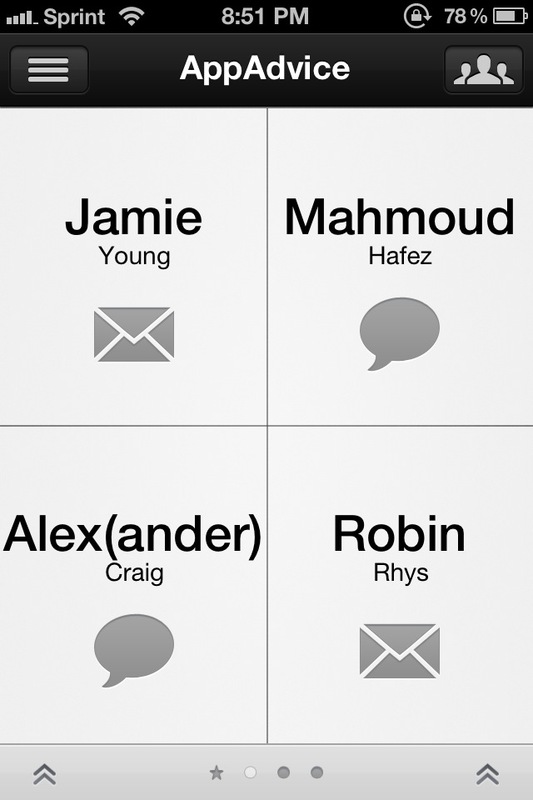 With Buzz, you can create groups of your favorite contacts. 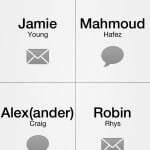 These groups will appear in a large, tappable grid that shows four people at a time. You can add more than four people, of course, but you will be flicking through pages as you would with your iPhone home screens. 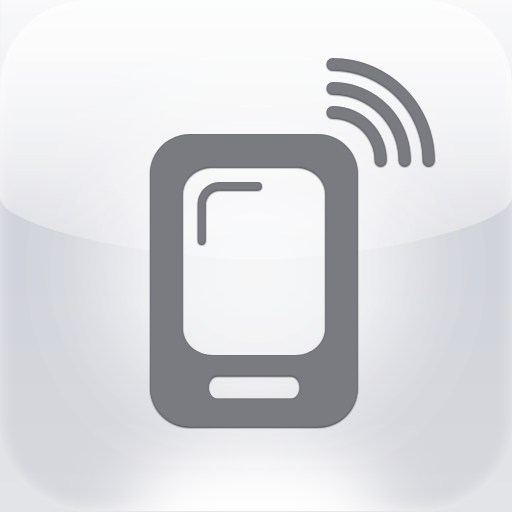 You’ll see their name with a one-touch icon representing your preferred method of contact. 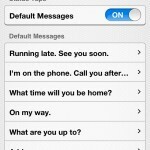 Buzz supports phone calls, messages, emails, and even FaceTime calls. 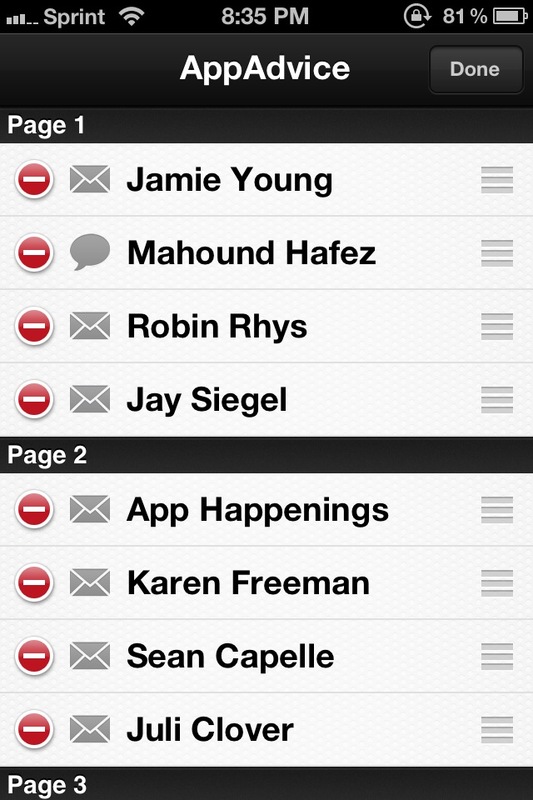 If you flick the pages all the way to the left, as you would with the iPhone home screen to access Search, you can see a list of your contacts in the group. 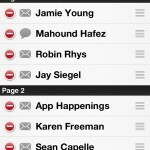 It’s not as intuitive as the grid view, but you can see more at once. 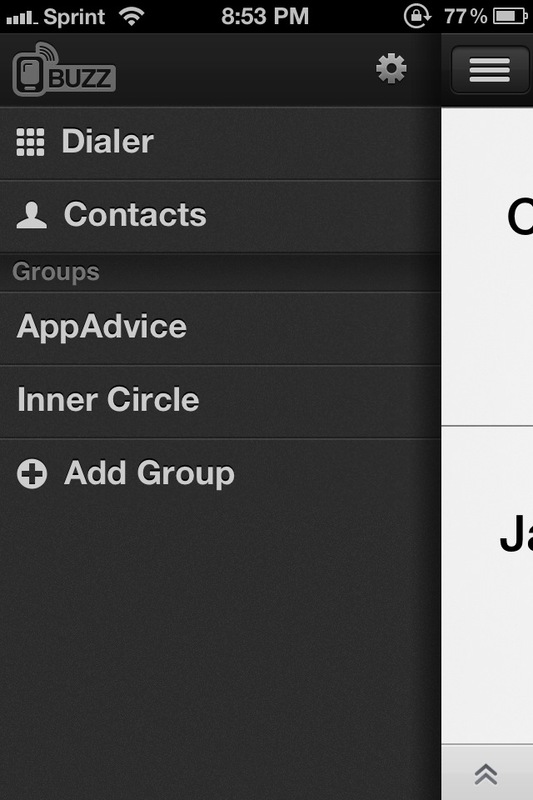 And it’s still better than going through the large list in the default Contacts.app. 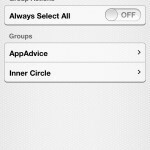 I love having the ability to create however many groups as I need, and being able to set the default method for each contact. 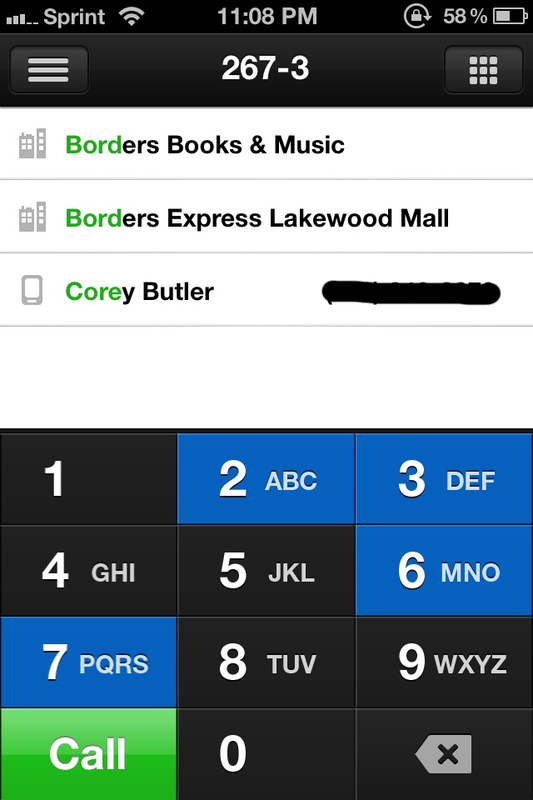 The app also offers a lot of customization, as you can reorder the appearance of your contacts however you want them to appear. 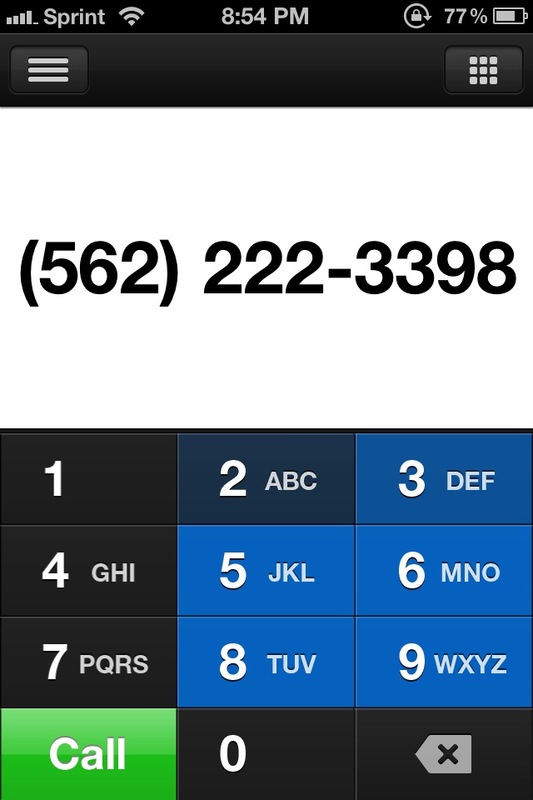 Remember, these are your your contacts. 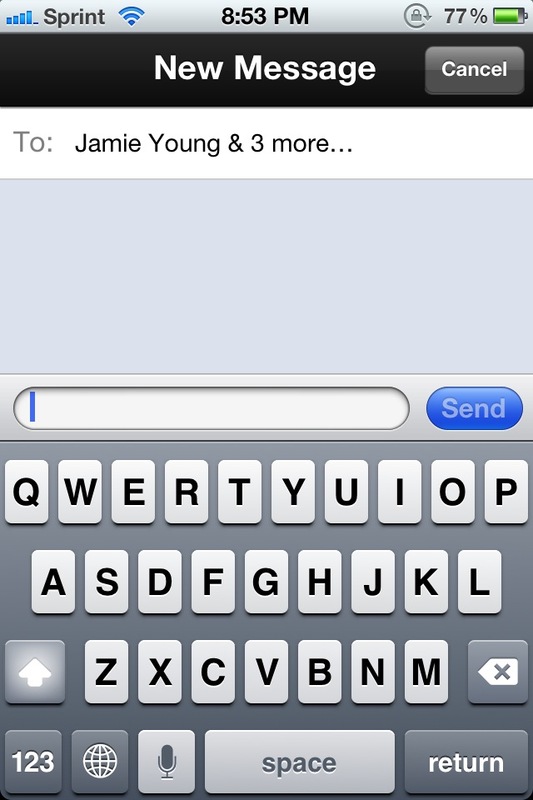 If you frequently send out group messages, then you’re in for a treat. 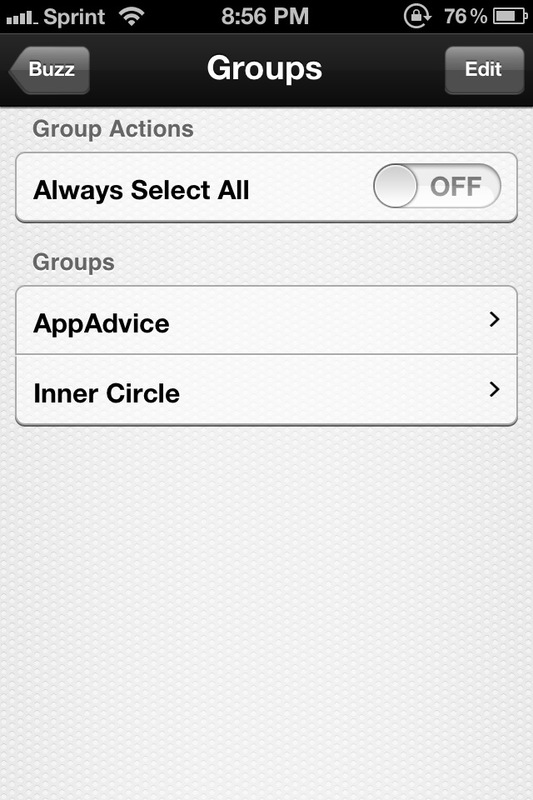 Once you create a group, you have access to “Group Actions,” which you get to by tapping the arrows at the bottom. This will prompt you with the default messaging options (email or Messages), and then you will see a list of emails or phone numbers, depending on which one you selected. 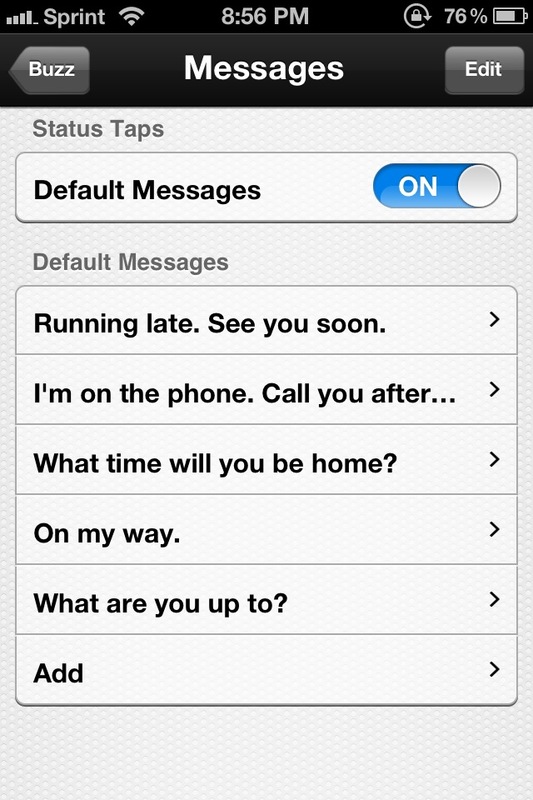 Use the buttons to Select All or Select None (and manually pick), compose your message, and be on your way. 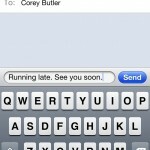 It’s a great, quick way to get a message out to multiple people at once, and it’s all done elegantly. 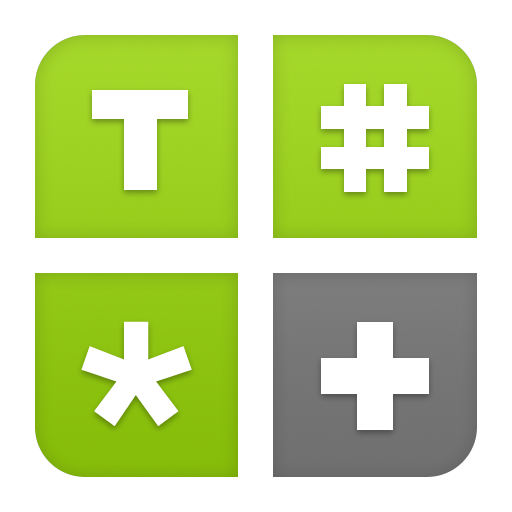 Multiple groups? No problem – you can access your other groups with a tap of the slide-out menu button at the top left. 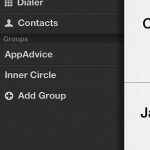 It will also reveal other options in the app, such as a Dialer and your default contacts (you have to edit them in your Address Book though, a drawback). 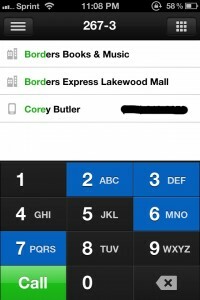 The Dialer is just a basic keypad, where you dial in numbers or letters. 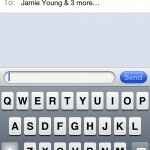 The app will start searching through your contacts as you type, with contacts appearing above the keyboard. I'm certainly impressed with Buzz, and I will definitely be keeping this one on my home screen. 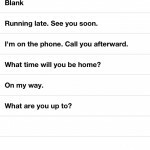 It's just a faster and more intuitive way of managing your contacts, and you have complete control of it, unlike in Dialvetica. 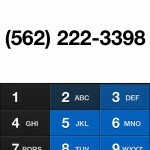 Of course, if you are using Google Voice, then Buzz may not be for you, since it currently does not support the service. 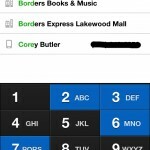 Regardless, Buzz Contacts is a great little app to try out. In addition to having FaceTime over the competition, there is another advantage – Buzz is only $0.99, which is $2 cheaper than the competition (though Buzz is not universal). Buzz Contacts from Ken Yarmosh on Vimeo.